As a specialist loyalty marketing consultant, I have a profound belief in one simple idea. What I know for sure is that the most essential ingredient needed to drive customer engagement in this hyper-connected world is ‘word of mouth’ marketing. Whether it’s friends naturally chatting about their new favourite restaurants, staff recommending the store loyalty programme as a real benefit to their customers, or the power of people sharing online, word of mouth marketing delivers the power of personal influence to engage in a way that few marketing budgets can. This brief guide outlines some of the latest strategies in the loyalty industry in 2018. Clearly the basic product or service needs to impress from the outset. Brands like Apple and Southwest Airlines design such exceptional products and services that customers build their brand for them. In one extra-ordinary case study, an American fitness brand called ‘Peloton’ reported recently that four customers loved the service so much that they had just had the company logo tattooed on their bodies. Four. Just in that week. While no loyalty programmes or campaign can promise to drive that level of sheer devotion, there is no doubt that well designed loyalty programmes can ensure that customers actively promote their favourite brands – both online and in everyday conversation. So to design your programme as one that your customers use, love and promote, here are my top tips to drive loyalty in 2018 and beyond. A key challenge of loyalty programmes is that customers simply don’t use their points. Unused loyalty points (just in the USA) are estimated to be worth over $100 billion so it seems that customers either don’t know – or don’t care – how many points they have. An increasing trend in key demographics such as millennials is the importance of understanding the underlying mission of the companies they work for, so similarly some of the latest ideas in loyalty marketing focus on creating programmes with real purpose. ForGoodCauses is a solution launched recently in the UK. It gives customers of ANY points-based programme an easy way to donate their points as real cash to their favourite charities. Billed as ‘the currency for giving’, its founder – MD Crispin Rogers – says that the idea appeals particularly to millennials – with 77% saying they love the idea. Rogers says that points valued over £7bn are lying idle in the UK alone – so he’s developed a platform to allow members transfer their points to any of the 12,000 charities registered as partners in the UK. For customers, this is an entirely new way to contribute and offers brands a way to prevent the inevitable frustration when loyalty points expire that their customers have not had the chance to use! Another compelling innovation that’s already achieving cut-through and dramatic customer adoption in Norway, Sweden and the UK is an app for students called HOLD, designed to reduce the impact of screen addiction while in University. With a mission statement to ‘make it fun and rewarding to put away your phone’, the young company has found a way to powerfully incentivise students to fully focus on their studies by adopting more careful use of smartphones. The app rewards them by unlocking rewards from relevant brands. Those brands achieve cut-through with an audience that is notoriously difficult to reach. Less than two years old, the app is already being used by nearly half of all students in Norway. The term gamification has been around for over a decade now, but only in recent years has it gained real traction in business circles as consumer brands increasingly adopt key insights from the gaming world to understand human behaviour and drive the same levels of devotion. 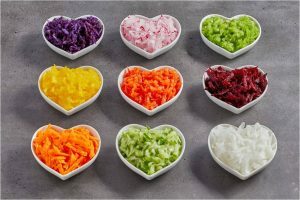 According to Gamification expert, Yu Kai Chou, brands need to understand and appeal to any of eight core human behaviours in order to achieve significant levels of engagement with customers. 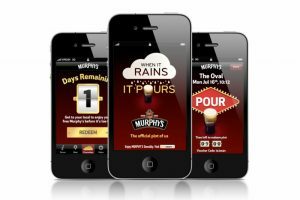 One fantastic early gamification case study is the campaign run by Murphy’s Irish stout in 2012, which achieved global industry recognition both as a compelling idea and for its outstanding digital execution. Quite simply, Murphy’s offered its customers a free pint of stout when over 2mm of rain fell in its home city of Cork in Ireland. Tapping in to our innate curiosity (when life is unpredictable), it also appealed to our desire to achieve ‘bragging rights’ with customers feeling a real sense of achievement when enjoying their free pint. The marketing campaign relied heavily on referrals from customers, with just a low media budget needed to drive initial awareness and app downloads. Customers themselves did the rest! Overall the brand achieved returns of over 3:1 along with a valuable database of delighted customers for future campaign communications. Fast forward to 2018, and loyalty gamification strategies have evolved even further – programmes are now appealing to our innate generosity to ‘share and care’ with our friends and family. For example, the ‘Robin Good’ campaign launched in KKiosks throughout Switzerland in 2017 when it’s parent company Valora realized the power of moving beyond the traditional approach of simply rewarding the customers it already had – and harness the power of mobile innovation to also delight their extended network of family and friends. Valora won a retail technology award as a result of responding to this insight – with NACS recognizing the importance of retailers moving beyond transactions to create delightful experiences that customers’ value so much more. The most intriguing headline I’ve read on loyalty in recent years describes how the Qantas loyalty programme in Australia is driving profitable revenue in recent years and dramatically outperforming the airline itself. By 2020, it is expected to be the main contributor to the airline’s profits. The secrets to its success are the sheer flexibility and accessibility it offers customers. In addition to their extensive network of travel partners and financial products, members earn points for everything from shopping online, dining in or out, to even their mobile network plans. It also offers an incredible range of partners where these miles can be used (‘burned’) also. Another giant of the business world – this time in Asia – has adopted the same flexible strategy, with Japanese eCommerce giant ‘Rakuten’ recently announcing some impressive milestones. Rakuten Super Points with its 90 million members has emerged as the most desirable loyalty points in Japan mainly due to their ‘sheer liquidity’. Members earn points with over 70 Rakuten services and over 44,000 merchant stores, and can use their points in over 660,000 places in Japan across every aspect of daily life including cafes, days out, restaurants and supermarkets. It’s no wonder that they’ve successfully issued over 1 trillion points worth approximately $9.1 bn. Back in our own industry, 7-Eleven in the US also recognised the importance of flexibility when they re-launched their 7Rewards programme last November to go even further beyond the ‘bountiful beverages’ their 9 million members were already enjoying. Scott Albert – Director of Digital Product highlighted that ‘variety is important to 7-Eleven customers’. Gurmeet Singh, Chief Digital Officer, agreed and said ‘our intent is to make every customer interaction valuable and delightful’. With approximately 80% of products available in-app for redemption, there is no doubt the incredibly flexible 7Rewards programme will achieve exactly that. From the origins of the earliest forms of loyalty programmes in 1930’s ‘Green Stamps’ to the powerful eco-system in place today, it’s clear that we need to move ‘beyond points, badges and leaderboards’ if we want to truly engage customers in 2018 and beyond. The principles outlined above are just some of the ideas being successfully adopted as best practice loyalty marketing activities worldwide. Click here if you’d like to see more inspiration from our work creating ‘live loyalty’ for our clients. With over twenty-five years marketing experience, Paula specializes in loyalty marketing consulting, managing consumer loyalty propositions, strategy and operations. In addition to her work with Liquid Barcodes, her clients have included Telefonica O2, Three Mobile, Electric Ireland, Allied Irish Bank and The Entertainer, as well as Avios – the global points currency for some of the world’s top airlines. She is also a judge for the Loyalty Magazine Awards.